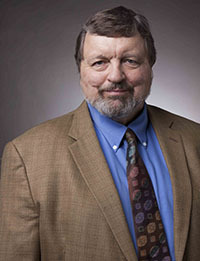 Gary L. Shockey was born in Casper, Wyoming in 1950. He attended public schools there, graduating from Kelly Walsh High School in 1969. He was active in many school activities and received the Principal’s award as the outstanding graduating senior. Gary attended Yale University, graduating in 1973 with honors, earning dual degrees in Political Science and Sociology. He was honored with the Mead Cup, for outstanding service to his college. He enjoyed his four years on the East Coast, but knew he wanted to return to Wyoming. Gary entered law school at the University of Wyoming and graduated in 1976. While in law school, he was on the staff of the Law Review and active in the Defender Aid program. During the summers he was an intern for Bob Schuster, The Spence Law Firm and for the Natrona County Public Defender. He entered the legal workforce as assistant public defender and also started a private practice. Gary became as associate with The Spence Law Firm in 1978. He moved from Casper to Jackson, Wyoming in 1979 and became a partner in the law firm in 1982. He currently practices on his own. Gary and Dona (Galles) were married in Casper in 1979. They have three children, Amber, Jeremy and Kimberly. Gary has served on many civic boards and groups, including board memberships for the Jackson Hole Alliance for Responsible Planning, the Teton Science School, the Wyoming Trial Lawyers Association and the Casper Troopers Drum and Bugle Corps. Gary enjoys man outdoor activities, including hunting, fishing, boating, sailing, skiing and hiking. I’m honored to be the Primerus representative for plaintiffs’ personal injury lawyers in Wyoming. You can find out more about Primerus at www.primerus.com and check out my Primerus page.